The HTC One (M8) marks HTC’s second attempt to produce a super-premium Android phone. The new version is even more impressive as its predecessor—no mean feat. The latest HTC One is beautiful, battery-efficient, and fueled by all the latest hardware; its UltraPixel camera still excels in areas where other camera phones have fallen short. 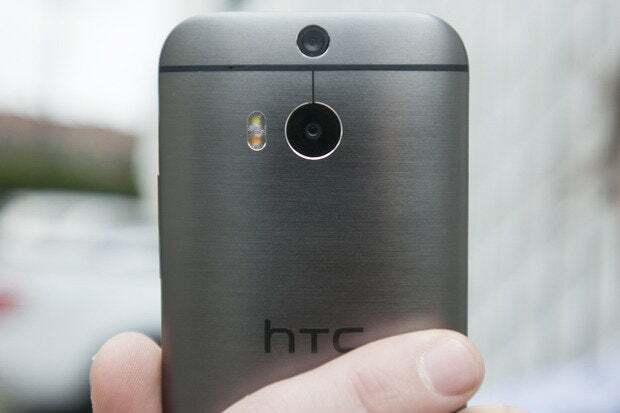 For a more detailed look at HTC’s new phone, read the full HTC One (M8) review at Greenbot. HTC has brought design panache to an otherwise uninspired market of Android devices, with its metal chassis standing in stark contrast to plastic-y phones from rivals. If you prefer smaller phones, you may find it challenging to use the HTC One with just one thumb and that metal adds some heft, but its size isn’t overpowering. The screen remains unchanged from the previous HTC One; its viewing angles are perfectly acceptable for watching a YouTube flick with a friend. 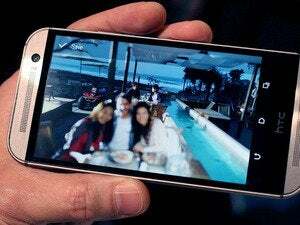 A 2.3GHz quad-core Qualcomm Snapdragon 801 processor and 2GB of RAM power the HTC One, making it the first phone in the US available with these particular specifications. But the more impressive performance comes from the battery. It lasted through two days of varying usage without needing a charge. Among the phone’s features, HTC’s BoomSound speakers provide impressive sound quality, and the gestures supported by the HTC One actually turn out to be a practical part of the user experience. BlinkFeed becomes a full-blown news aggregator on the HTC One, and if you weren’t a fan of the app before, you may warm up to this latest incarnation. The most eye-catching enhancements can be found in the HTC One’s cameras. A second rear-facing camera helps with the One’s post-processing effects, which are fancy though not game-changing. I’d be fibbing if I said I didn’t have fun with the 5-megapixel, wide-angle front-facing camera on the HTC One and its selfie-enhancing features. This story, "HTC One M8 review: Latest model does One better" was originally published by Greenbot. The One is HTC's second attempt at entering the ring and it's just as impressive as its predecessor: it's beautiful, battery efficient, fueled by all the latest hardware, and that UltraPixel camera still excels in areas that other camera phones have fallen short. And guys, we really, really like it.